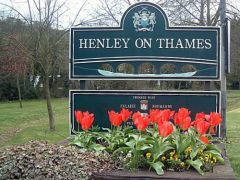 Attractive signs and flower boxes welcome visitors to Henley along the main entrance roads to the town. This one is located along Fair Mile. 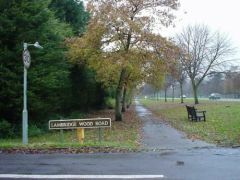 The entrance to Lambridge Wood Road that branches off this road close to edge of Henley-on-Thames. Some of the smaller houses that are situated alongside Fair Mile. 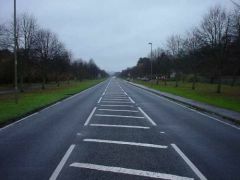 Northfield End is located out of view to the right of this picture. 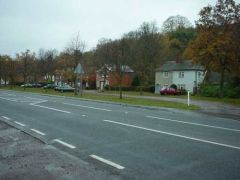 This road is one of the major entrances to Henley-on-Thames. This picture faces in the direction of Stonor and Nettlebed.